What do our girls think about their fathers? 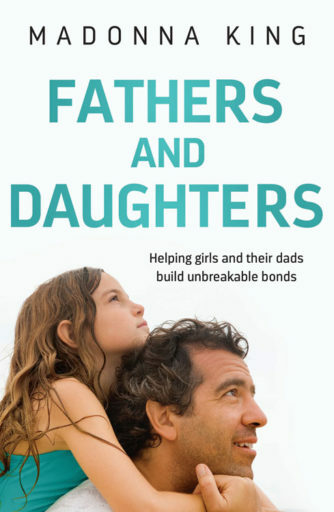 And what are fathers struggling with when it comes to their relationship with their daughters? The bestselling author of BEING 14 now tackles the complicated father/daughter relationship. 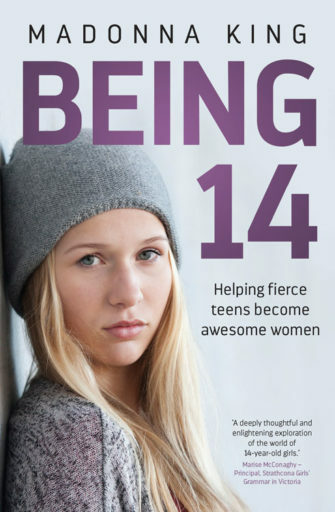 Being 14 gives a voice to every teen girl in Australia. Madonna King has interviewed 200 14-year-old girls across the country, talked to successful school principals, psychologists, CEOs, police, guidance and neuroscientists to reveal the social, psychological and physical challenges every 14-year-old girl is facing today. 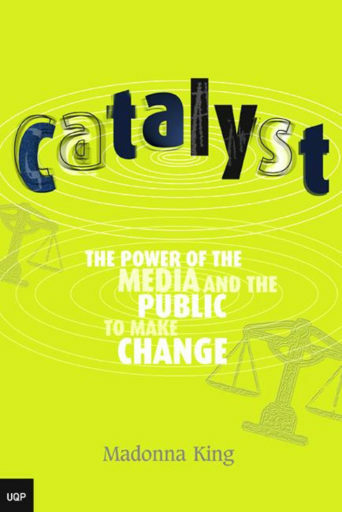 In a world of big government and big business, individuals can still make a difference – especially when their fight sparks the media’s interest and the survival instincts of politicians. 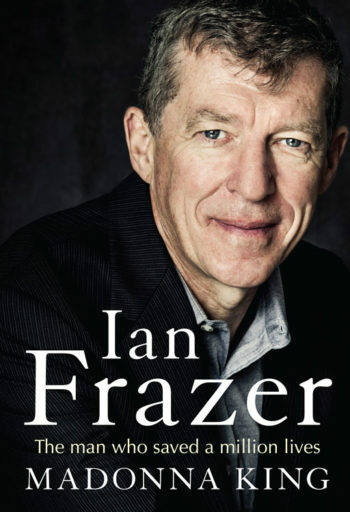 In this compelling book, eleven stories from across Australia show how one person can be a catalyst for change. 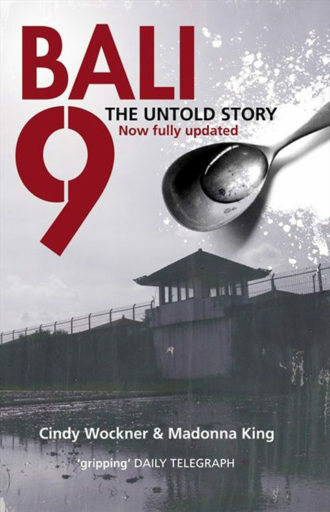 On 17 April 2005, nine young Australians were arrested in Bali on charges of trafficking heroin. Four of the group —Renae Lawrence, Martin Stephens, Scott Rush and Michael Czugaj — were caught with the drugs taped to their body. Two others, Andrew Chan and Myuran Sukumaran, were alleged to be the ringleaders of the well-organised operation. And a final three — Si Yi Chen, Tan Duc Thanh Nguyen and Matthew Norman — were also scooped up as the final element in the Bali Nine, as the group came to be known. 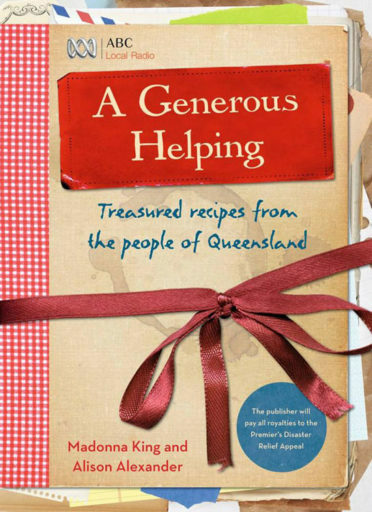 This collection of 150 heirloom recipes comes from the people of Queensland, as they attempt to replace the treasured recipes that were swept away in the terrible floods of January 2011. 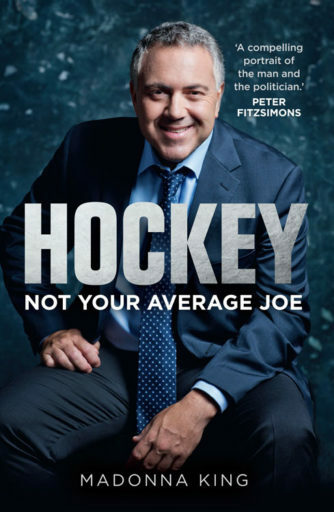 All royalties will go to the Premier’s Disaster Relief Appeal. 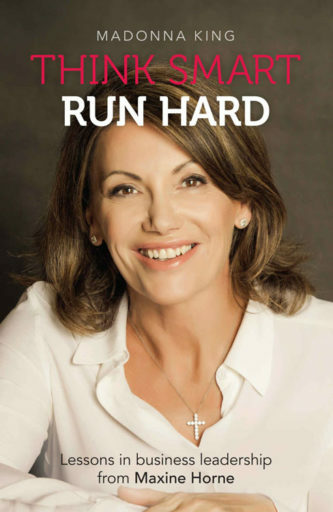 Maxine Horne knows the road to success. She was born in Struggle Street in the United Kingdom, and now lives in Millionaire’s Row in Australia. Along the way, she’s learnt every tip you need to make a success of your own business. Through smart thinking and hard running, Maxine Horne has been instrumental in building telecommunications giant, the ASX-listed Vita Group Ltd, which runs 100 Telstra stores, and a family of offshoots. We laughed and were spellbound. I found Madonna an absolute delight when organising the event. Thanks to Madonna the Medical Equipment required was purchased. What a wonderful person. I only wish we had a few more people like Madonna King. Her command of such events is without peer: she is engaging with the audience, judicious with panellists and keeps a rein on the discussion to ensure the target outcome is achieved. We intend on using Madonna for further events. From her research and prior preparation with our guest speakers to her willingness to engage with our guests, she brings a level of professionalism to this role that ensures the luncheon series maintains a place as one of the key business functions in Brisbane. Madonna flawlessly researched the issues, contacting all speakers beforehand, and her journalistic rigour, ability to think on the spot and dose of good humour meant the session was also full of valuable lessons. We’d certainly recommend her. Madonna King facilitated the hypothetical session at the Medico-Legal Society of Queensland conference in 2010. This session is like the conference finale with all speakers taking part, audience debate, interaction and comments from all welcome and encouraged. The feedback we received following the hypothetical was outstanding, particularly about Madonna’s involvement. She researched the very specific medico-legal topic thoroughly, showed a great understanding of the issues, kept the discussion moving and added humour and warmth. The hypothetical was a great success and Madonna was one of the key contributors to that success. Madonna is a true professional. She understood our panel topic with minimal explanation, conducted thorough research and proposed an interview format which matched our brief perfectly. Her presence was well received by panel and audience members and was a key factor in the success of our event. High Distinction. Madonna was a brilliant moderator managing to get a very stimulating conversation going between the panellists in a short time frame. I’ll make contact regarding future events – we’d definitely like to have Madonna moderating again. Beth Phelan, conference director, Vajrayana Institute, which hosted the Dalai Lama in Australia. Madonna has provided MC and moderator services for events hosted by the Gold Coast Logan Urban Development Institute of Australia. As an industry body representing one of the region’s largest workforces, we host events that tackle big picture issues and inspire passionate discourse. Her command of such events is without peer: she is engaging with the audience, judicious with panellists and keeps a rein on the discussion to ensure the target outcome is achieved. We intend on using Madonna for further events. The Australian Institute of Company Directors – Queensland Division has used the services of Madonna King for four years now and it is with pleasure that I provide this testimonial. Using Madonna as the MC for our Leaders Edge lunch series contributes much to the success of these events. From her research and prior preparation with our guest speakers to her willingness to engage with our guests, she brings a level of professionalism to this role that ensures the luncheon series maintains a place as one of the key business functions in Brisbane. Madonna is a delight to work with, and the quality of her work is also evidenced by the number of guests who provide very positive feedback on her role. The St Vincent de Paul Society Queensland has been delighted to work with Madonna King for our annual Vinnies CEO sleepout event over the past two years. She worked closely with our event team to deliver a professional, successful and enjoyable event. Her natural ability to engage with an audience of high level business, community and government leaders kept the night flowing, and her facilitation skills brought out the best of all the speakers. Madonna was an absolute pleasure to work with, and we look forward to working with her again. The Mater Hospital Auxiliary had the privilege of having Madonna King as their guest speaker at Tattersalls. The Auxiliary was holding the function to get funds to buy Medical Equipment for the Mater Public Hospital. When Madonna knew that her attendance would do so much good for sick patients she did not hesitate to say yes. The guests knew that they would be hearing the best speaker as they had heard her on Radio and read her newspaper articles and in a few days of sending out the Invitations the function was booked out. The guests were not disappointed as Madonna kept the guests entertained with stories of journalism, lightly poking fun at the powers that be, and taking us inside what happens when a big story breaks. We laughed and were spellbound. I found Madonna an absolute delight when organising the event. Thanks to Madonna the Medical Equipment required was purchased. What a wonderful person. I only wish we had a few more people like Madonna King. Madonna went above and beyond our expectations in her role as MC at our 2011 Mining Industry Skills Centre Conference. She took it upon herself to call speakers to get background research, and helped support our event team in managing the flow of the day. We all enjoyed working with Madonna and would wholeheartedly recommend her for any corporate events. As the CPD Event Manager for the Queensland Division of the Australian Property Institute (API), I have had the pleasure of working with Madonna King on a number of occasions. In her role as Master of Ceremonies, for the largest event on the API calendar, Madonna brings an exceptional level of professionalism and enthusiasm. Madonna is always well researched in the subject matter and is extremely thorough and hands on with preparation leading up to the event. I would not hesitate in referring someone to Madonna King when looking for a Master of Ceremonies. Madonna conducted two hypotheticals for our local government managers’ conference in Yeppoon. They were excellent – providing serious content in an entertaining, engaging and fun way. Madonna flawlessly researched the issues, contacting all speakers beforehand, and her journalistic rigour, ability to think on the spot and dose of good humour meant the session was also full of valuable lessons. We’d certainly recommend her.